Appropriate for a 2nd Class KVK with Swords ring that is marked “98”. 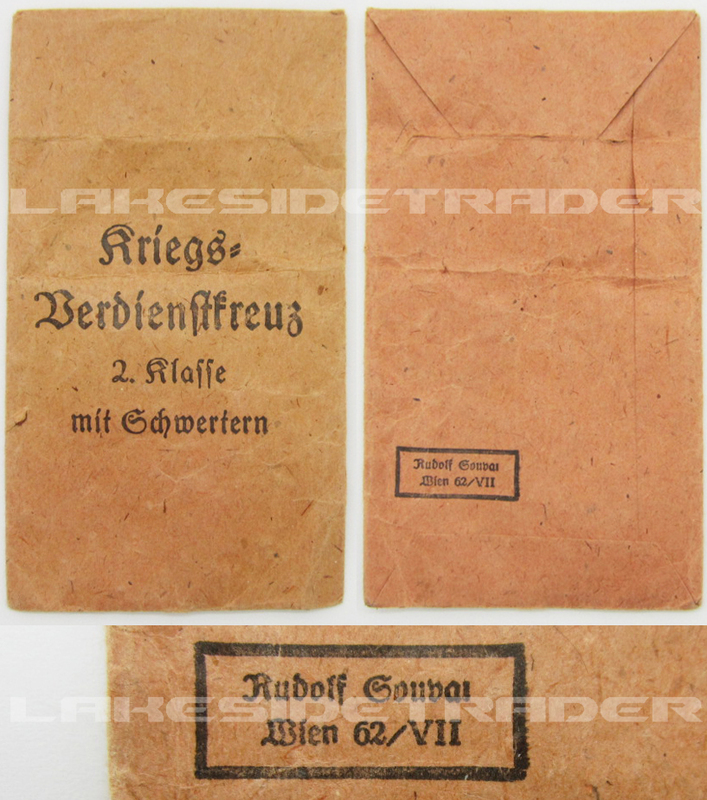 The packet is constructed out of a tan brown paper that has been folded and glued together. The obverse reads: “Kriegs-verdienstkreuz 2. Klasse mit Schwertern”, the reverse reads: “Roudolf Souval Wien 62/VII” within a rectangular thin border. It has two very minor rips. It measures approximately 4 3/16 inches tall by 2 3/8 inches wide. The right one for you? !